To celebrate the publication of Radical Light: Alternative Film and Video in the San Francisco Bay Area, 1945-2000, the Berkeley Art Museum and Pacific Film Archive present an evening of light shows, multiple projection pieces, and film loops by Craig Baldwin, Gibbs Chapman, Scott Stark and the Overdub Club (Thad Povey, Lucio Menegon, Suki’ O’Kane, and Alfonso Alvarez), as well as other cinema psychedelica. Film and videomakers discussed in the book, as well as writers who contributed to it, will join the festivities, which will continue throughout the weekend with screenings at the PFA Theater. The book launch happens Friday, October 15 at 7:30 p.m. in Gallery B. Visit BAM/PFA’s website for more details. 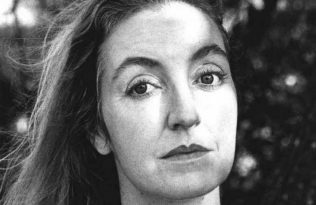 Read an excerpt from Radical Light by Rebecca Solnit at SF360.org, or read a review of the exhibition in the San Francisco Bay Guardian.